Barnes Pump Company belongs to a group of innovative designers and manufacturers owned by Crane Pumps and Systems. This company has over 150 years of experience engineering pumps for a wide range of residential applications. They created the original submersible 1/3 horsepower, 1 1/4 discharge sump pump and has since expanded into water systems product lines. Here at Westside Wholesale, we are an authorized retailer of Barnes sump pumps and sewage pumps for residential, utility, and many other uses. 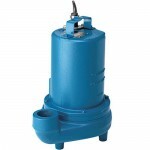 This includes Barnes residential sump pumps. These high-performance pumps are cost-effective and constructed out of durable materials, from impeller to shaft and seal. 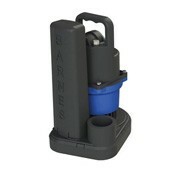 Barnes has designed their sump pumps to be interchangeable with those from other brands, helping to save costs related to installation and replacement. Barnes also had designed a range of submersible solids handling pumps. These durable Barnes solids handling pumps are crafted to meet a wide range of needs through the use of reliable cast iron motors. They’re great for sewage, wastewater processing, and many other applications. 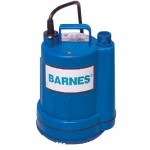 Westside Wholesale also offers a collection of Barnes sewage pumps. These pumps and sewage ejector pumps come in many different horsepower ratings and RPM capacity. They’re effective for both residential and light commercial wastewater applications. 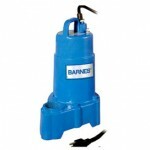 We truly believe in the effectiveness and reliability of Barnes sump pumps. 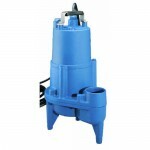 The brand has constructed useful, long-lasting pumps made of materials designed to stand up to wet and repeated use. Contact a member of the Westside Wholesale team if you have any questions about or orders for a Barnes pump.